My Recipe Magic © 2017 Recipe Magic, LLC. They say the way to a man's heart is through chocolate! This is an absolutely delectable caramel cookie sandwich, covered in dark chocolate. Perfect Valentine's Day Dessert! Hi. I'm Camille. 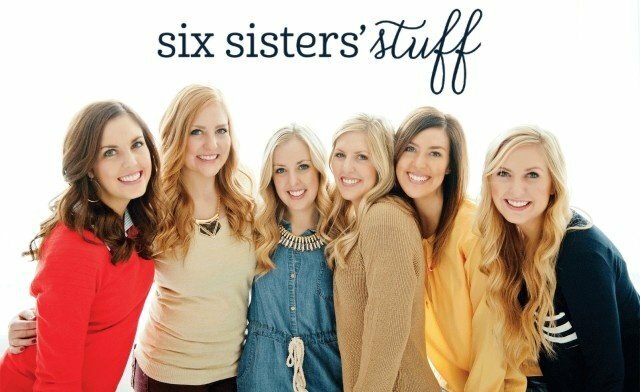 My sisters and I started a blog 7 years ago. Before we started blogging, we were constantly calling each other for recipe ideas, craft projects, and ways to keep our children entertained during those long winter days. The blog was the perfect way for us to share those ideas with each other and we fell in love with blogging. ​We told our friends and family about our little blog and slowly found more and more people were visiting it each day. We started doing research and discovered that we could turn this blog into something more . . . something bigger than we ever could have dreamed. We now have over 3 million people visit our blog each month. In the past 5 years, we have taken this hobby and turned it into a full-time income for all six of the sisters, and a handful of employees who help behind the scenes. Blogging and social media have opened up a whole new world of opportunity and now we are going to share the secrets to our success with you. If you have ever wanted to start a blog, now is the time! Why a food blog, and why now? Not everyone watches kittens on Youtube, but everyone needs to eat. The food industry in the US is estimated at $1.46 trillion (usda.gov/topics/food-markets-prices) so it is no surprise that online food services is one of the biggest Internet categories. Over 450 million daily inquiries are food related (www.internetlivestats.com/google-search-statistics/). More and more people are using the Internet to get food related information. By following the simple steps that we share in our e-book "How to Turn Your Recipes into Cash" you can have a money-making food blog today. 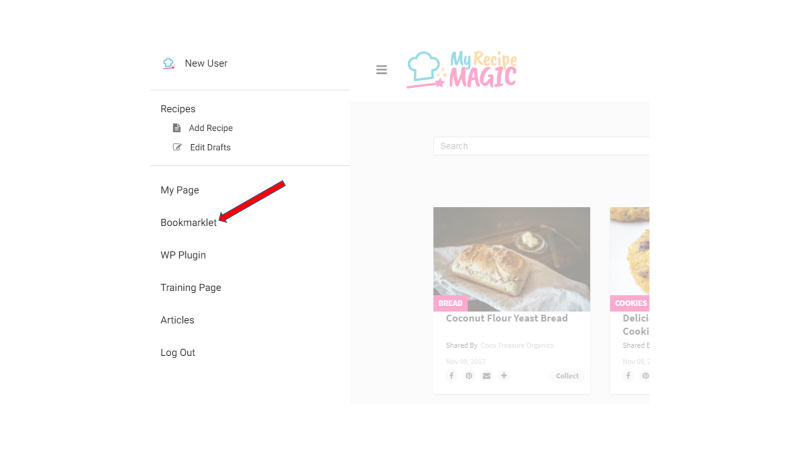 Now is the perfect time to start because MyRecipeMagic has just launched a program to guide you through the whole process! 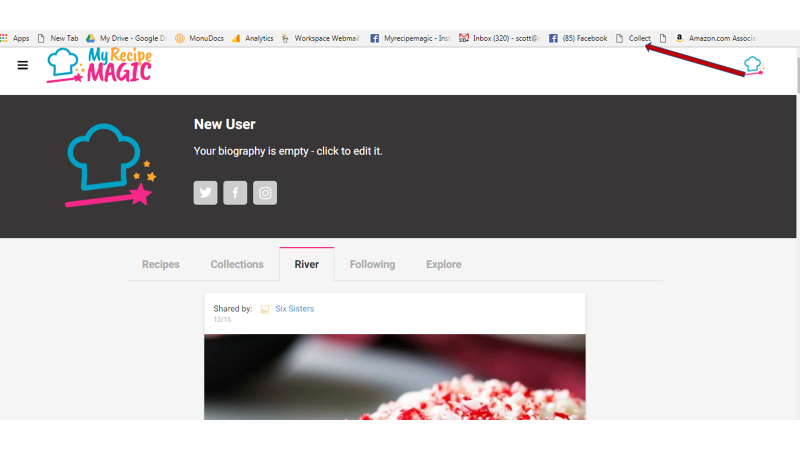 We also created a platform that will send new people to your blog. 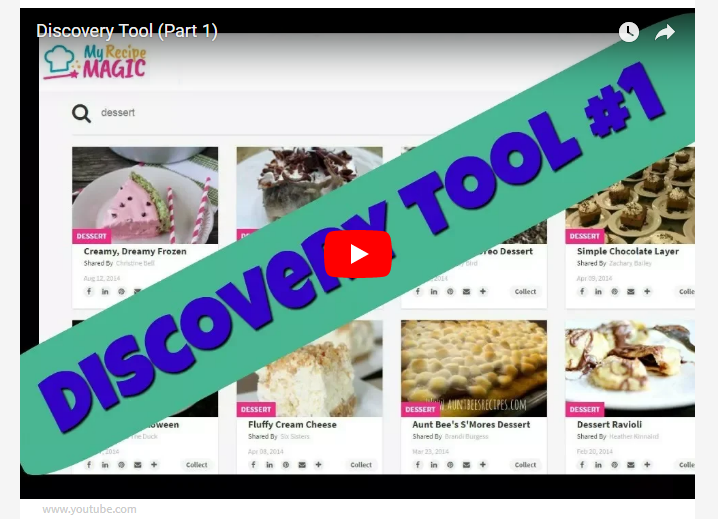 Learn all about it in our live training course "Next Steps, Getting Viewers & Making Money" or if you already have a blog register for the advanced course "How to Grow a Money-Making Food Blog". Click on these links to get some amazing offers! You have some amazing recipes that other people would love to try. OK. You are willing to try. If you just had the time, money, and skills, right? Q. Can I get recipes from other sites and put them with my recipes? A. Yes. This is done by using the collection bookmarklet. Watch the how to video HERE. Q. Why can't I see my profile page? A. You must be logged in to see your profile. 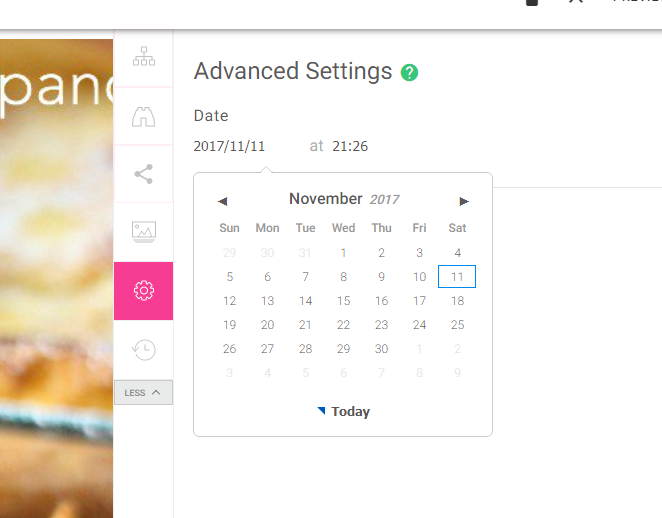 You can see if you are logged in or not by going to the home page and looking in the top right corner. If you are logged in then you will see your profile picture. If you are not logged in you will see a button that says "login". Click on that button then enter your email and password. Q. How do I stop following someone? A. Just go to that person's profile page and click on the "following" button below their name. It will change to "follow" which means you are not following them at that time. You can also go to your profile page, click on the "following" tab and it will give you a list of the people you are following. On the right side of each name is a "following" button. You can click that button also if you want to unfollow. 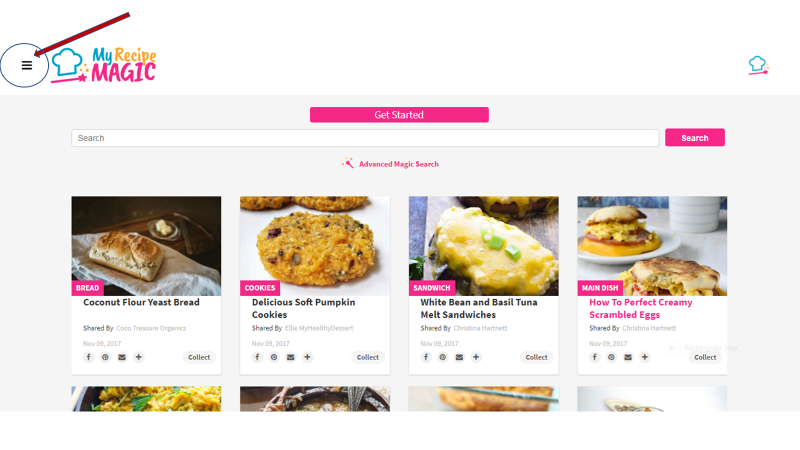 Do you want more people to see your recipes? Here are 3 things you can do. There is a training video here. We highly recommend that you watch this video now. It will show you how to get other publishers with big social media followings to share your content! If you took our advice and watched the video then you already know how to do this. If not then, watch the video now! Click here. This is a great technique to get your recipes back on the front page and at the top of all your followers' rivers. You can see an easy way to do this by watching this training video. Click here. This is a delicious brownie trifle recipe. There are so many great flavors that everyone will love this unique dessert! 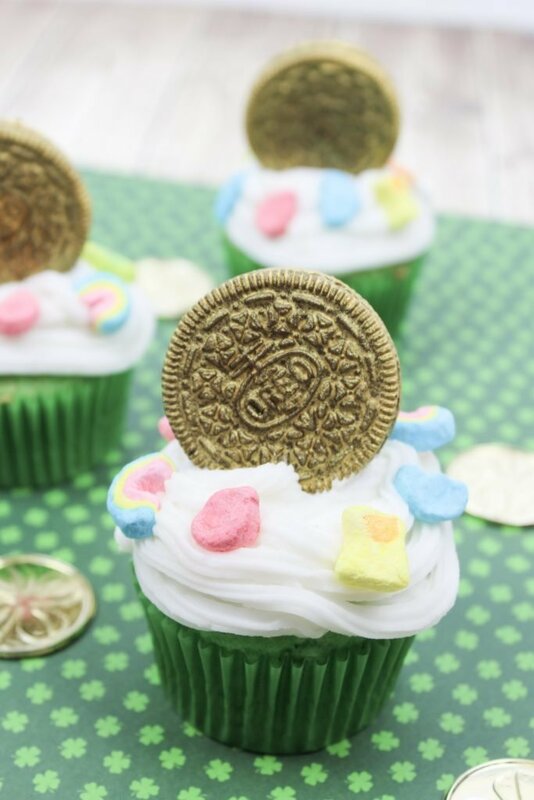 What better way to celebrate St. Patrick's Day then with these adorable Lucky Charms Golden Oreo Cupcakes! 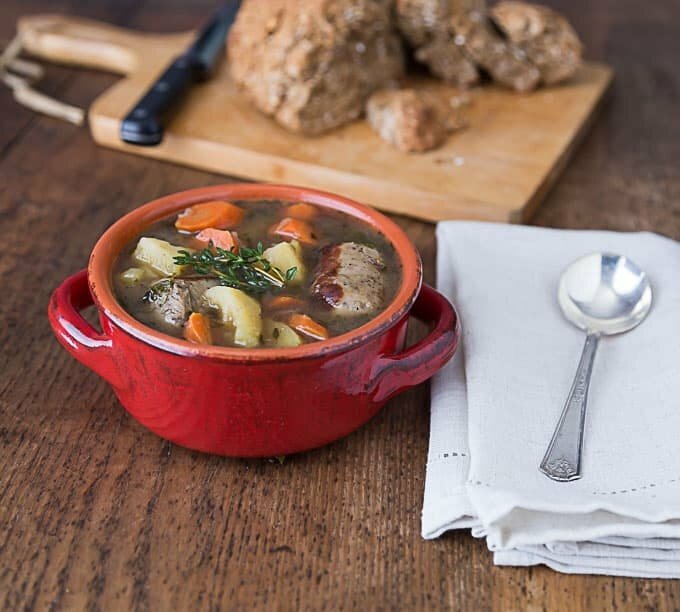 Dublin Coddle is great served with the typical Irish Brown bread. Dublin Coddle is Irish comfort food at its best. 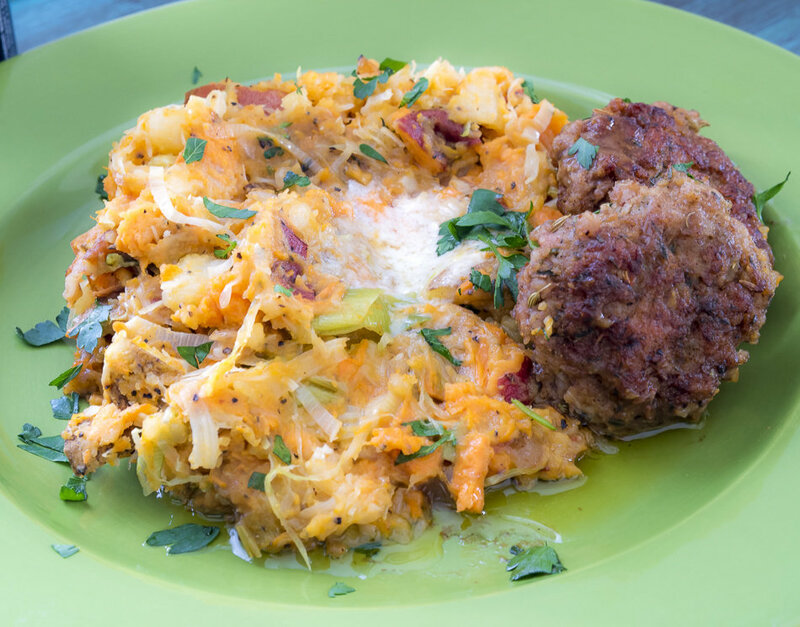 It is probably one of those dishes that came about as a way to use leftovers. Europeans are known for their frugality. There is really no set recipe per se. Case in point, I like to add carrots to my recipe because I happen to love these orange tubers, I can't get enough of them! Because it is slow cooked Dublin Coddle is a perfect candidate for the crock-pot. 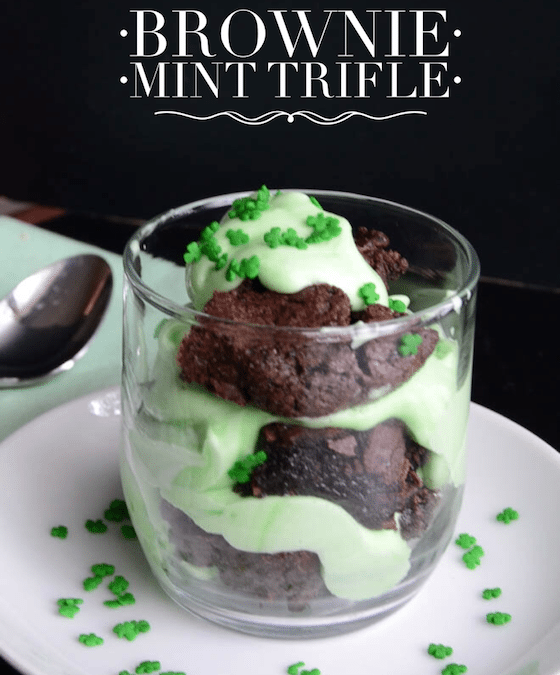 Since St. Patrick's Day is coming up, I decided to make a treat for my kids. I chose these Chocolate Chip Cheesecake Brownies, and they turned out yummy. 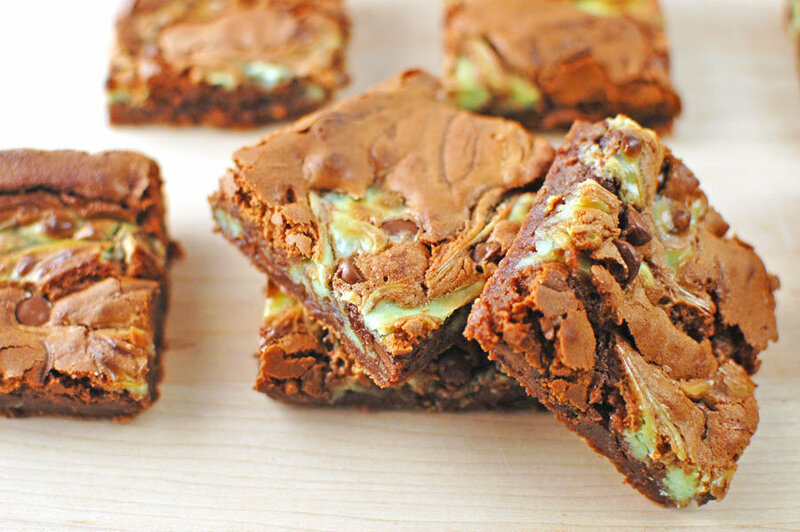 My kids loved the green coloring in the brownie. You can change out the green food coloring for a different holiday. 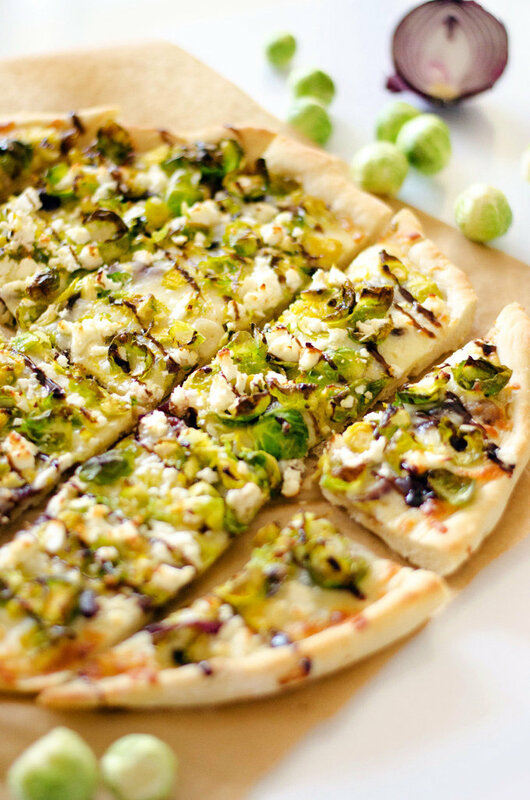 This delicious homemade Brussels sprout pizza has a crispy top with a cheesy, boozy beer caramelized onion interior. 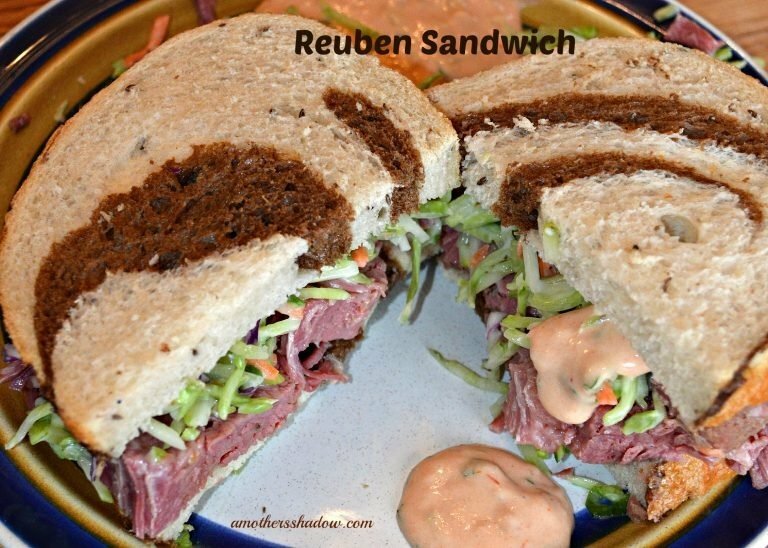 You don't have to wait for St. Patrick's Day to make the BEST Reuben Sandwich ever! This best Reuben Sandwich is a must in your regular meal rotation, because it's so delicious. 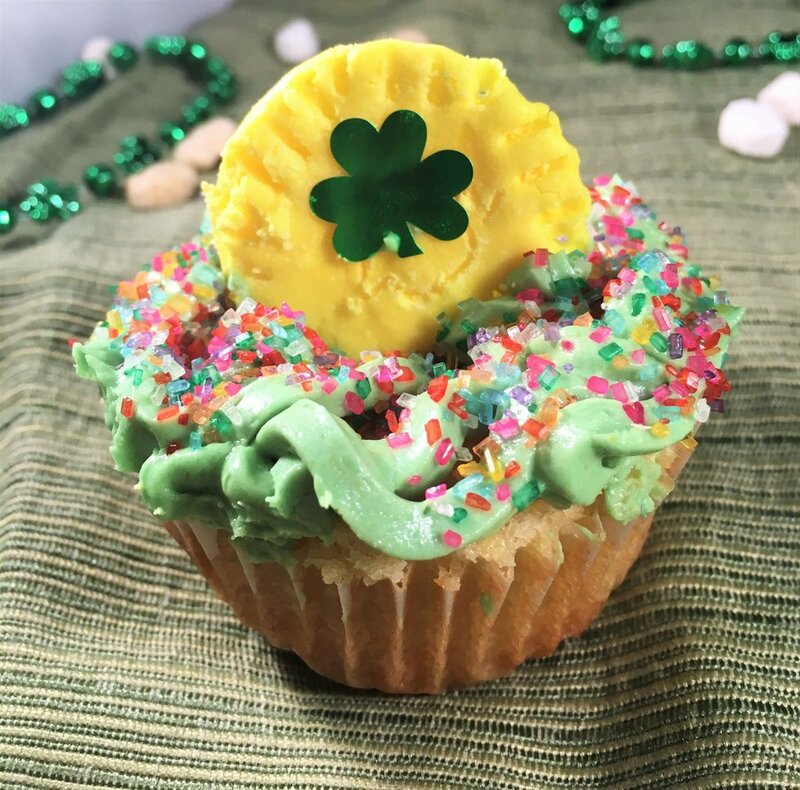 Saint Patrick's Day is coming up quick and what better way to celebrate then with some baked goods! I had lots of ideas on what to kick off the St Patrick's Day celebration with and thought to do something fun and colorful. 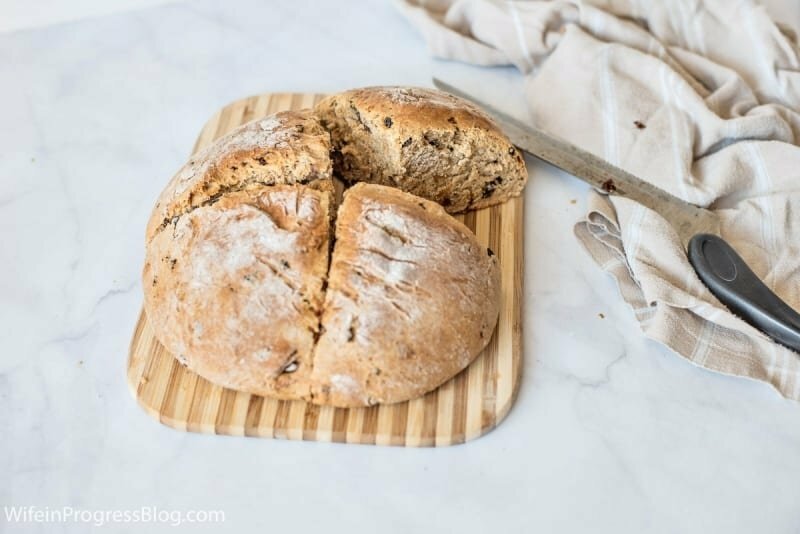 This traditional Irish soda bread recipe is the one I grew up eating in Ireland. It's simple to make with a few basic ingredients and tastes delicious served warm with butter or jam. Colcannon. What the heck is colcannon? Those were my thoughts exactly this week when I was trying to decide what to make in preparation for St. Patrick's Day! Well, all I can say is that the Irish were up to something delicious when they started making this simple dish. Basically colcannon is mashed potatoes on serious steroids. Looking for something fun to do on St Patricks Day morning? 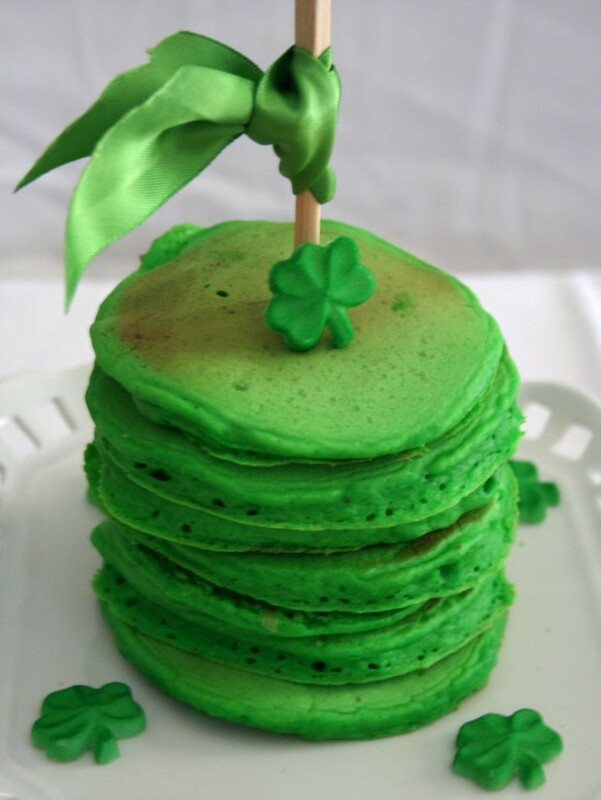 Well, if you want to do more than a Lucky Charms treat for St Patricks Day food, consider this green pancake recipe! 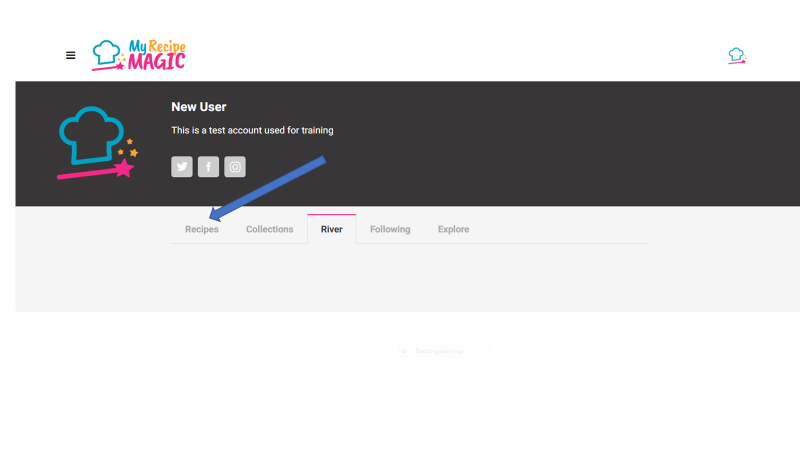 Once you are logged in click on the menu icon in the top left-hand corner (click here to see training video). Then click on the "bookmarklet" link on the drop-down menu. This page will open. Drag and drop the two blue buttons to your bookmark toolbar. 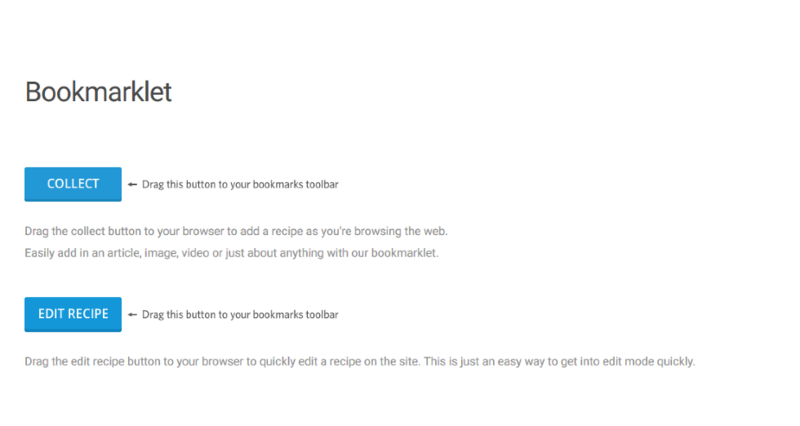 Now you have a "collect" button on your bookmark toolbar. 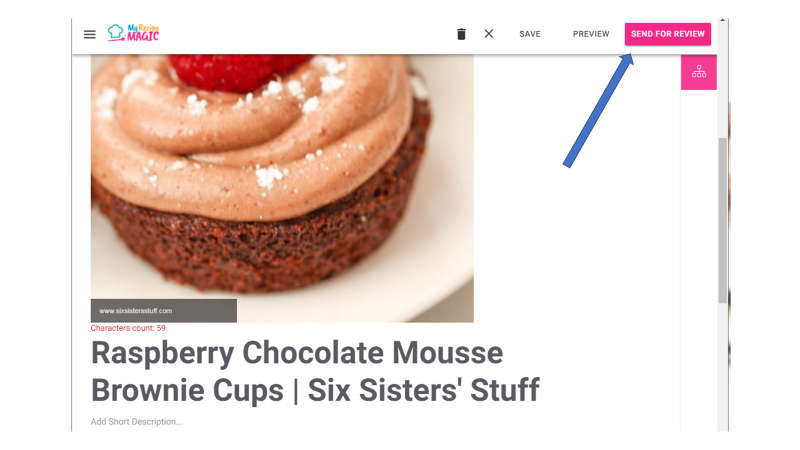 You can use this button whenever you are online and see a recipe or video that you like. Just click the collect button while you are on the recipe page that you want to keep. A page with several images will open. Click on the image you would like to use for your recipe thumbnail. A new page will open that shows you what the recipe will look like. You can add text in the different fields. When you have it the way you want it, click on the "send for review" button in the top right corner. Your recipe will be reviewed and published in 24-48 hours. You can then go back to your profile page and see the recipe under the "recipes" tab. Collect as many recipes as you can. Then you can start organizing them into collections (click here to see training video). You are on your way to a killer library of favorite recipes! One of two things is about to happen. 1) You'll click through this list and instantly go to Amazon to buy these products or 2) You'll leave wishing you had these gadgets already. Prepare yourself for an ideal kitchen setup, on the cheap. 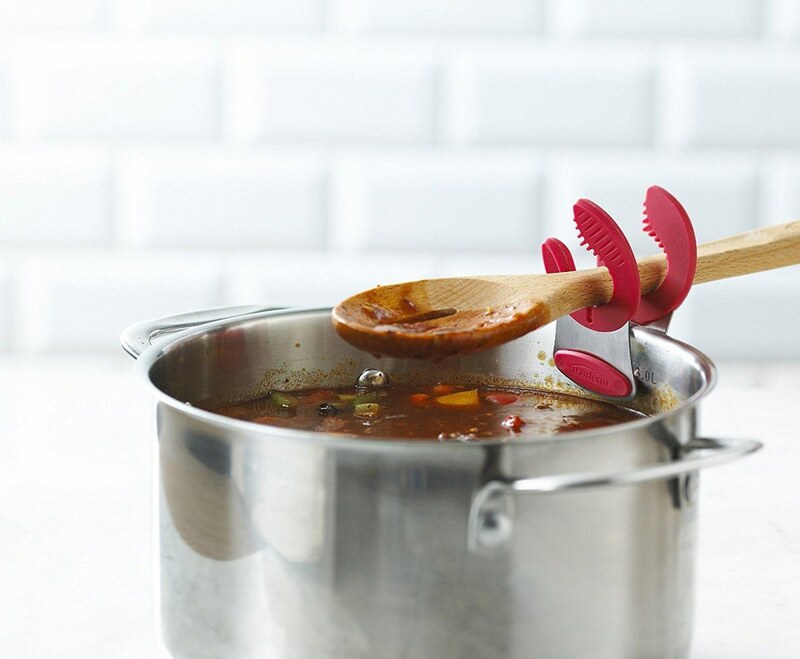 No more using your knife or trying to carry the cutting the board to the pot, pan, or bowl. 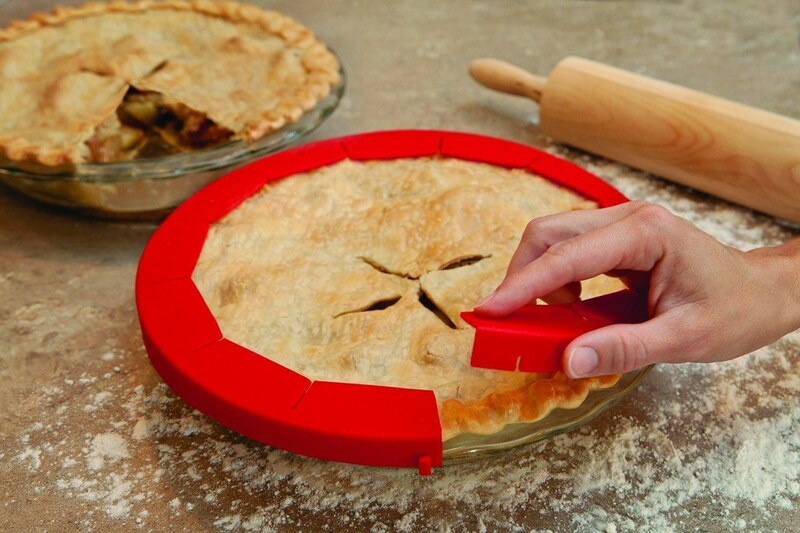 No more trying to keep chopped ingredients from falling everywhere. This is so simple, yet genius. People love their avocados and guac. 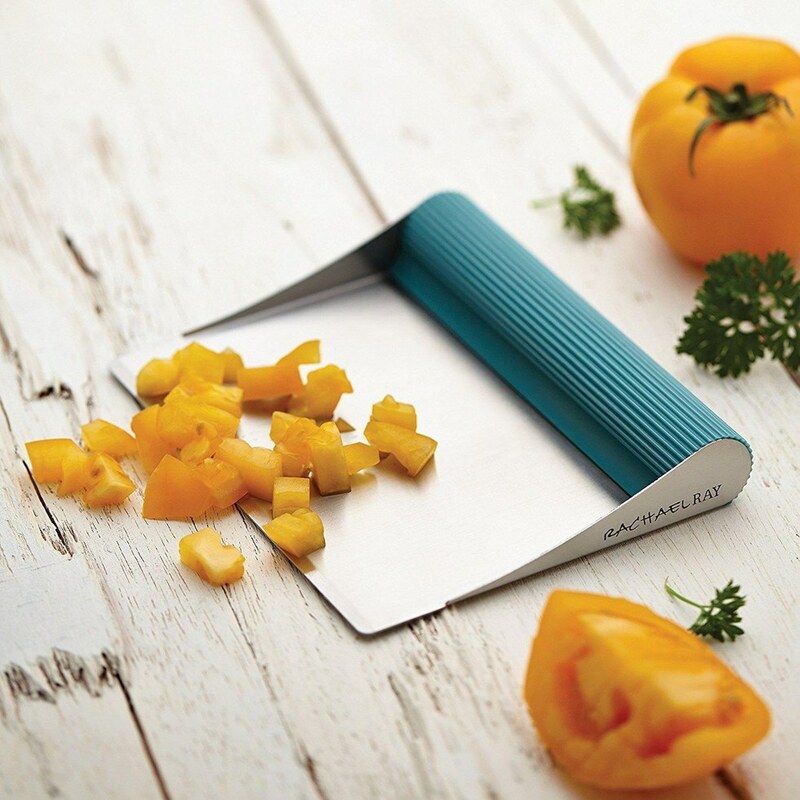 Get this crafty 3-in-1 tool and you'll be in guac heaven. You only have two hands when you're alone in the kitchen, despite sometimes needing four. 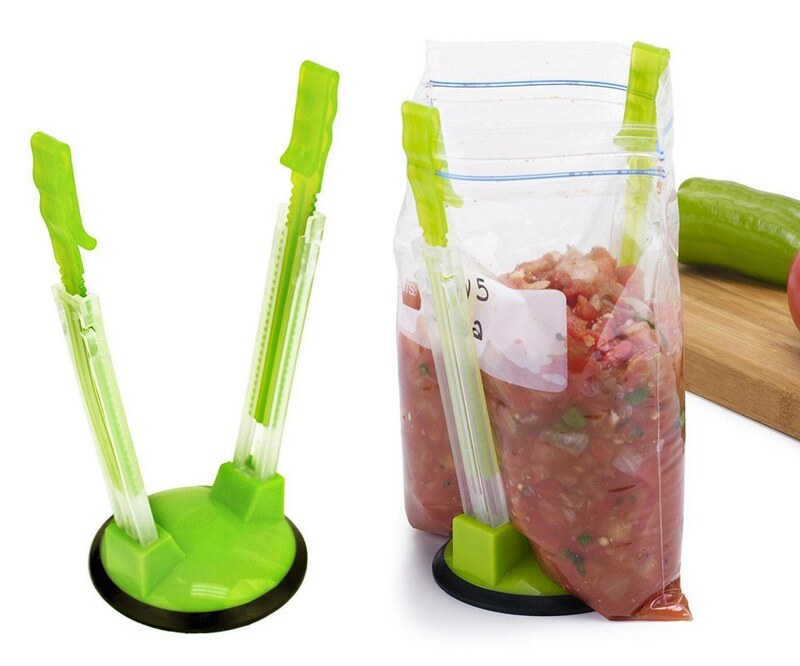 These bag holders will change your life. It's always awkward trying to find the right place to set down a saucy spoon. No more! 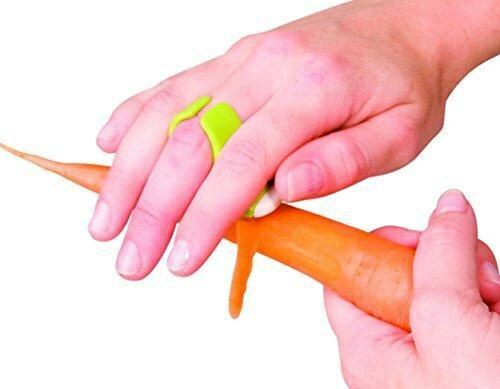 It attaches to your hand, for Pete's sake. Why didn't someone invent this sooner? 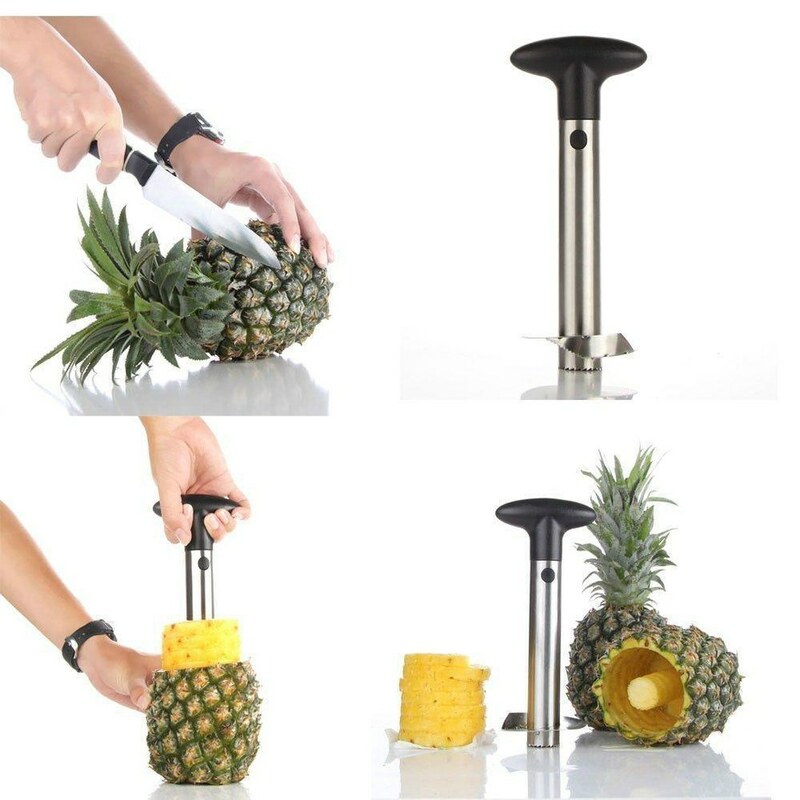 If you own one of these gadgets, you don't have to think twice about all the work that goes into prepping the pineapple for consumption. This will save you time and get you a lot less sticky than alternative methods. 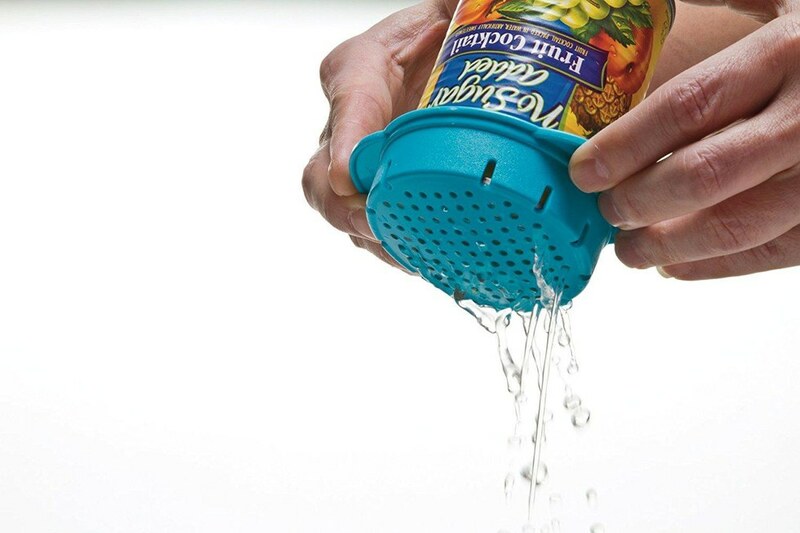 Say goodbye to using the lids to drain juice from canned goods; and while you're at it. This is easier and much less dangerous. 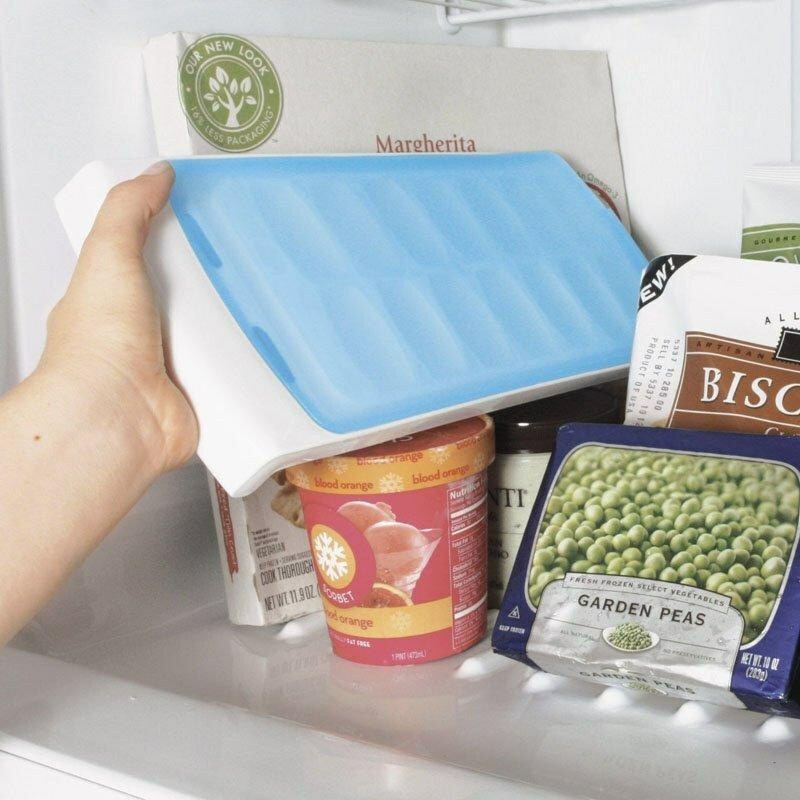 This tray if a must have if your fridge/freezer doesn't have an ice dispenser. It fits in tight crevices — horizontal or vertical — and will make you proud of all those hours you spent playing Tetris as a child. Time to ressurrect those dull blades. 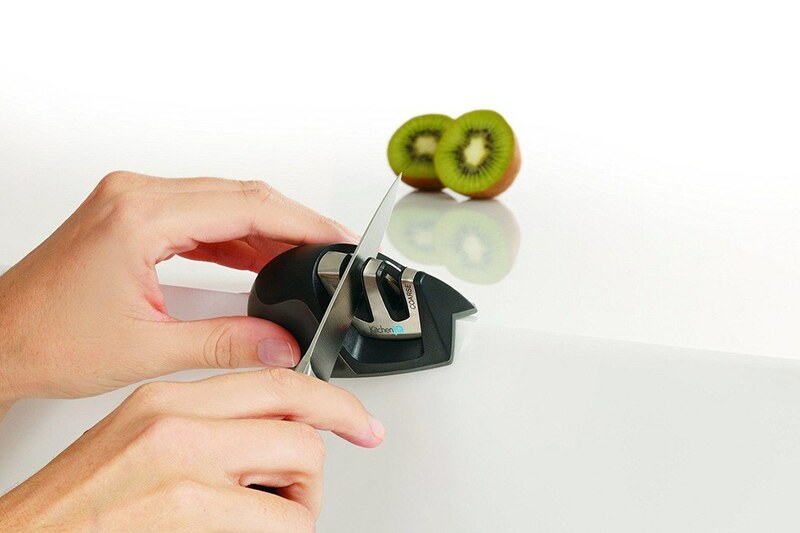 This little gadget will keep you cutting and chopping long term. Choosing the content that will be displayed on your home page. After logging in, go to "My Page" by clicking on your "profile icon" in the top right- hand corner. Then click on the "River" tab. This is the stream of great recipes I was talking about. It is comprised of just Chefs, Collections, and Categories/Hashtags you are "following". You can see who you are currently following by clicking on the "Following" tab. The content that is in your "River" is used to populate your home page. So, if you control who and what you follow, you can control the recipes that are shown on your home page. To follow a Chef just go to their profile page and click on the "follow" button. To get to a Chef's profile page click on their name. It is found at the bottom of a recipe card or at the top of a complete recipe. Once you open a Chef's profile page you can also see all of their collections. If they have a collection that you want to follow just click on that collection. A new page will open that shows all of the recipes they have in that collection. Click on the "follow" button in the top left-hand corner. Now whenever they add a new recipe to that collection it will show in your feed.